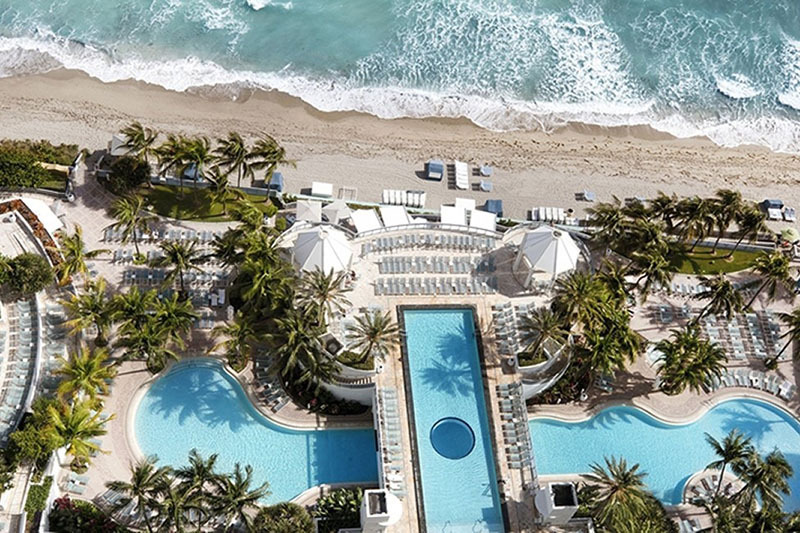 Fresh off a glamorous $100 million transformation, The Diplomat Beach Resort ushers in a new era of oceanfront perfection in South Florida. Voted a Top Florida Resort by Conde Nast Traveler Readers in 2016, the hotel’s flair for the exceptional extends from the Atlantic Ocean to the Intracoastal Waterway. The resort features bright, beach-y guest rooms, two sun-drenched pools, a glittering, ultramodern spa, plus 10 all-new culinary concepts led by celebrity chefs including Geoffrey Zakarian and Michael Schulson. Give yourself the getaway you deserve at the newly transformed beach resort in Hollywood, FL. Book the Leisure Escapes package and receive a $50 daily credit (£50 in the UK, €50 in Europe*) for every night of your stay. Use your on-property credit for dining, shopping, relaxing, and more. It’s summer which means it’s your time to kickback and give yourself a getaway that gives back. How you use it is totally up to you! You can book online here: http://curiocollection3.hilton.com/en/hotels/florida/the-diplomat-beach-resort-hollywood-curio-collection-by-hilton-FLLDHQQ/offers/100075322.htm.